Social networks could be fined for failing to remove material that his “clearly criminal” within 24 hours. Depending on how severe the content is deemed, that could rise to €50 million ($57 million). Germany has some of the world’s toughest laws around defamation, hate crimes involving public incitement and threats of violence. That includes prison sentences for Holocaust denial and inciting hatred against minorities. “Inciting hatred against minorities” can be stretched to cover any criticism of Islam, or resistance to the government’s policy of displacing the native population with vast numbers of unemployable welfare colonists from the Third World. 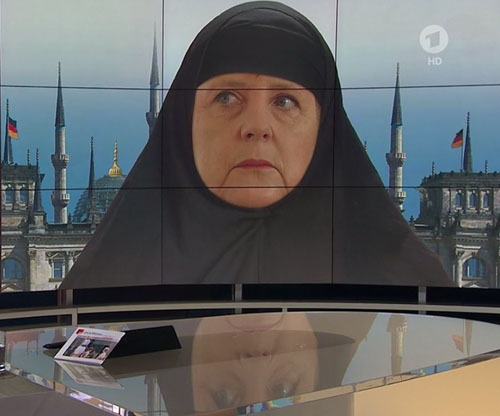 No one mistakes Merkel for Lady Liberty.